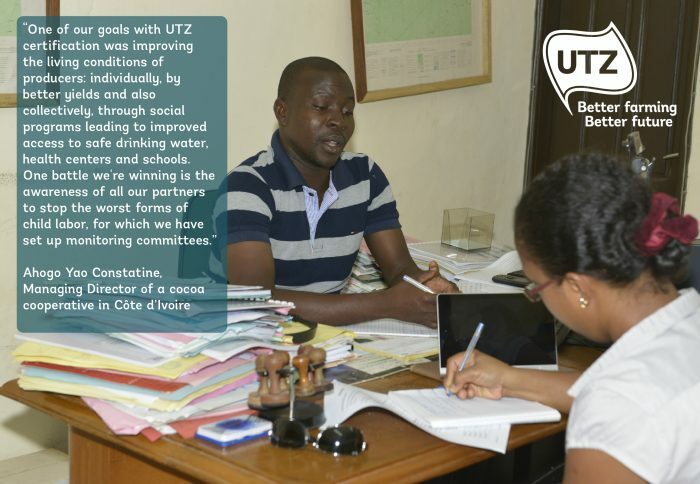 COOPAGA and CAFHS were the first cocoa cooperatives in Côte d’Ivoire to join the UTZ program in 2009. Since then communities have established a school and medical center on site, and farmers and their families have received training and awareness raising on child rights. The question is, has it had an impact on child labor? Let’s see what the farmers say. “One of the battles we’re winning is the awareness of all our partners on the scourge of the worst forms of child labor, for which we have set up monitoring committees,” he adds. 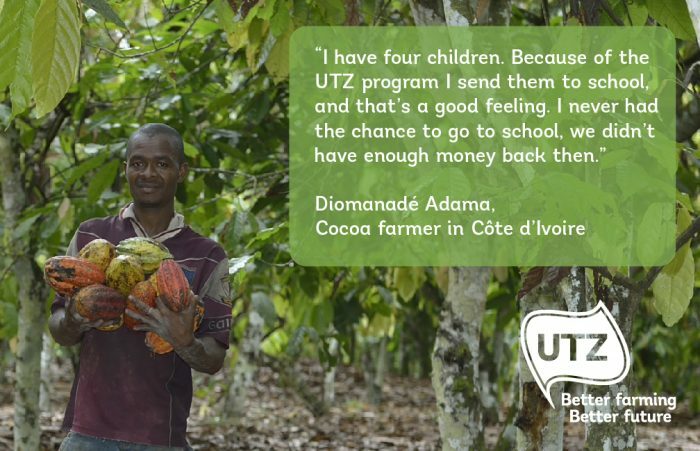 In nearby COOPAGA cooperative, children are also being taken out of the fields and attending school on a more regular basis. Most of the farmers here today worked in the fields themselves as children, but instead of their own children following in their footsteps, they are getting the education their parents missed out on. The issue of child labor is complex and needs an intense, collaborative approach to be tackled. 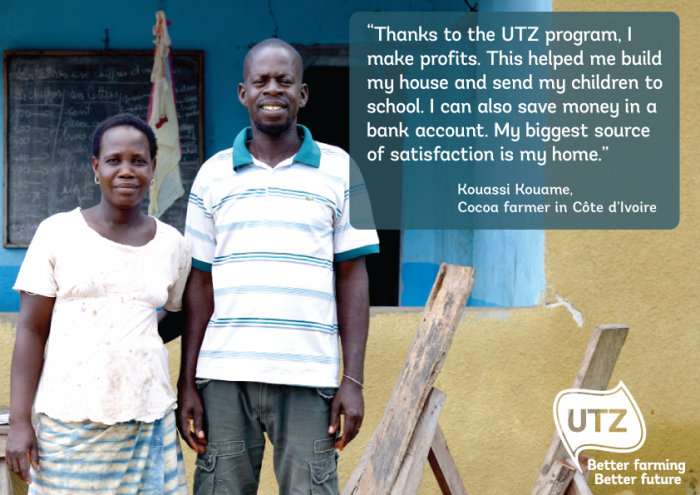 What we do see is that UTZ certification leads to a better income for famers, reducing the need for children to support their parents in the fields. Therefore more children are being sent to school. Read about our approach to child labor and download our child labor communication toolkit. 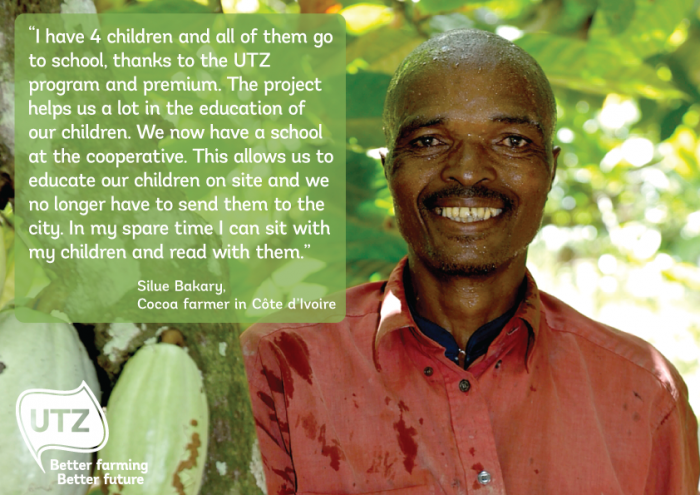 You’ll find the farmer testimonials above (and more) ready for use in your communication – as well as infographics and easy-to-read materials on the topic. Interested to know more about the topic? Watch the recording of our webinar “Eliminating child labor is everyone’s business” or download the handout. Does the UTZ label guarantee a child labor free product?